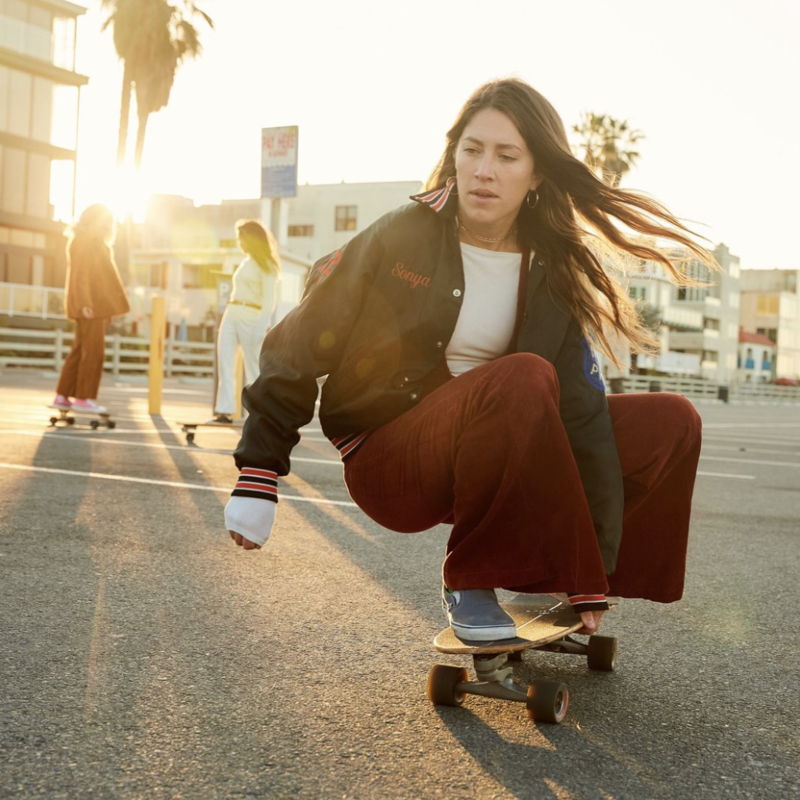 Nine GRLS on a mission to create an empowering & inclusive skate sisterhood. Our mission to empower regular women through skateboarding begins and ends with our rigorous grassroots efforts. Not only do we want to bring more women to the sport, but we want women to feel empowered to face their fears, make a difference, and step into their power. Our Partners are a huge part of our lives and our growth. We truly believe in partnering up with people and companies whose ethos and lifestyles match ours, who have the same goals, and who desire to make a difference. Want to partner with us? Click Here to get in touch. GRLSWIRL has become an evolving platform for women of all ages across the world to do more for their communities. A big part of GRLSWIRL is our philanthropy division, where we hold multiple events per year within our local community. These 190 GRLs are a part of our community, conversation and grassroots movement in Venice. Every other Tuesday we hold Group Skates for all female identifying locals to join and skate! Our community girls harness their personal communities and have helped grow our movement, group skates and mission. Every other month we hold a charity event, whether it’s to raise money for a Venice organization or teach young girls how to skate. In this past year we have raised over $9,500 for our local charity organizations. Check out our memberships & programs, providing GRLSWIRL inclusivity across the globe. With multiple events throughout the year, GRLSWIRL gives opportunity for you to volunteer within the Venice Community. Your donations will go towards providing skate mentorship for young girls, charity events & making our mission come true.